Ideal for use on construction sites that require maintenance vehicle access. 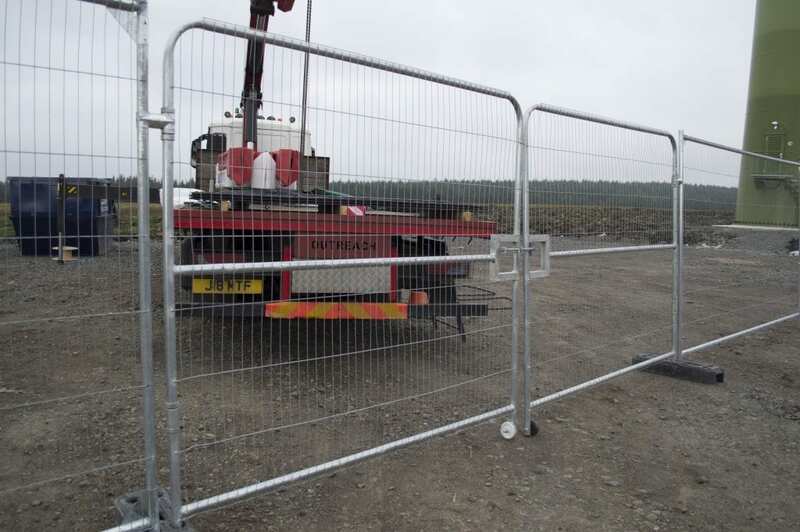 Easily interlocked with all types of temporary fencing, by slotting the posts into neighbouring panel’s foot. Gate features castor wheels which allows it to be smoothly opened to a 180° angle. Also features a safe and secure sliding lock, which can be used in conjunction with a padlock to further increase your site’s security. Pedestrian gates are also available for use with this fencing solution. The gate can be connected to any part of your fencing.